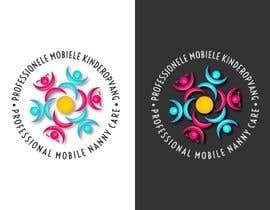 My client provides a professional mobile daycare centre for children (client delivers personnel, materials and interior for short and long term contracts). Their main clients are events agency's, enterprises, gyms, shopping malls and yoga-studio's. If you want to incorperate company's name (no demand); "mobiele kinderopvang"
hi sir, please check and feedback #14 .Hope you like it! Thanks!